Vacation feeling for the stage and at home! We see a ukulele, and we naturally start dreaming about Hawaii and its beautiful sun, beach, sea, hula and surfing, It truly is paradise! The Classic Cantabile UT-260PU S is a very beautifully made tenor ukulele with built-in pickup. 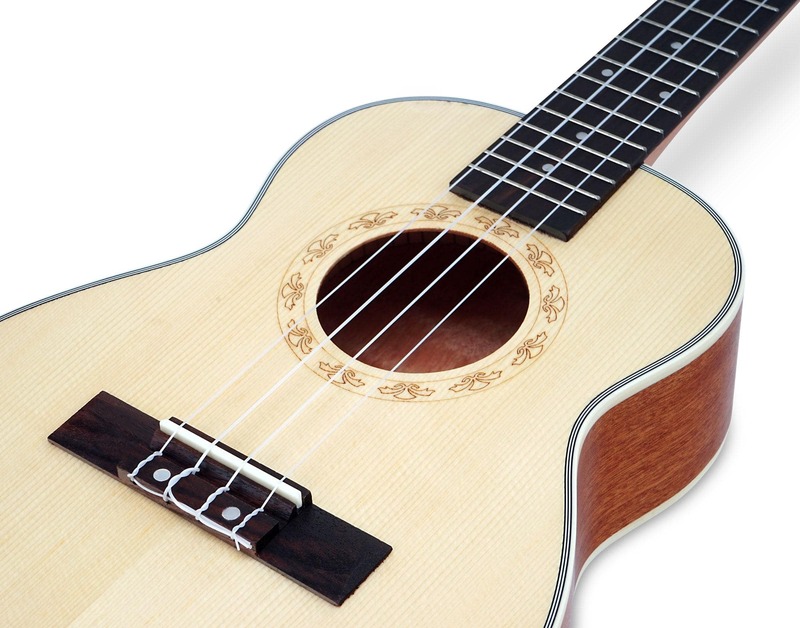 The tenor ukulele is the second largest and a very popular model. 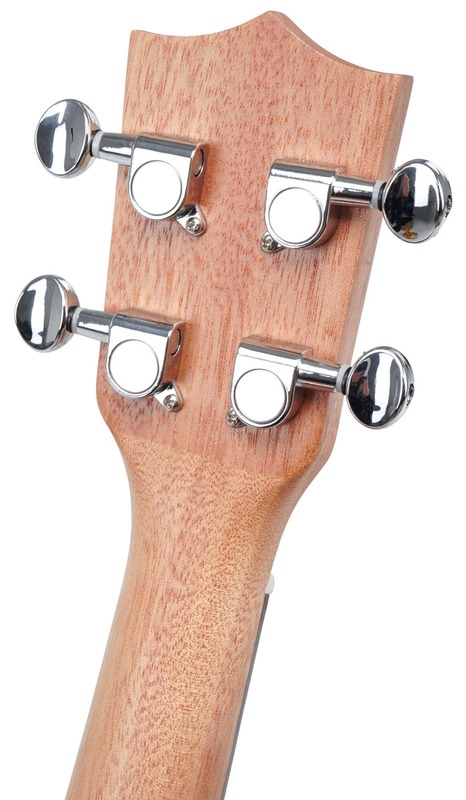 The top of the UT-260PU S is made of solid spruce and gives the sound a beautiful shape. 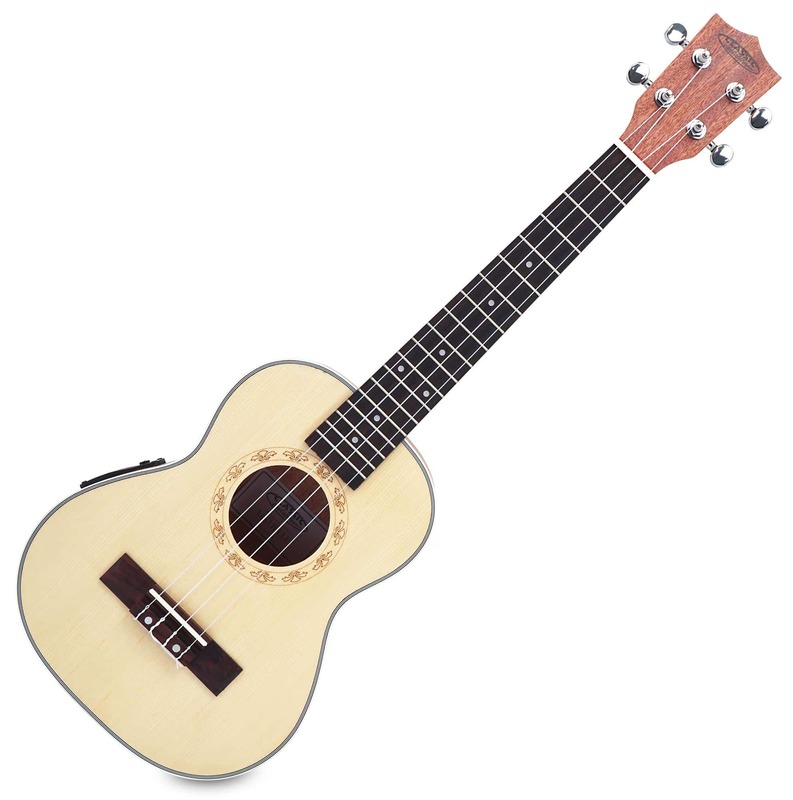 The tenor ukulele is very popular with soloists. 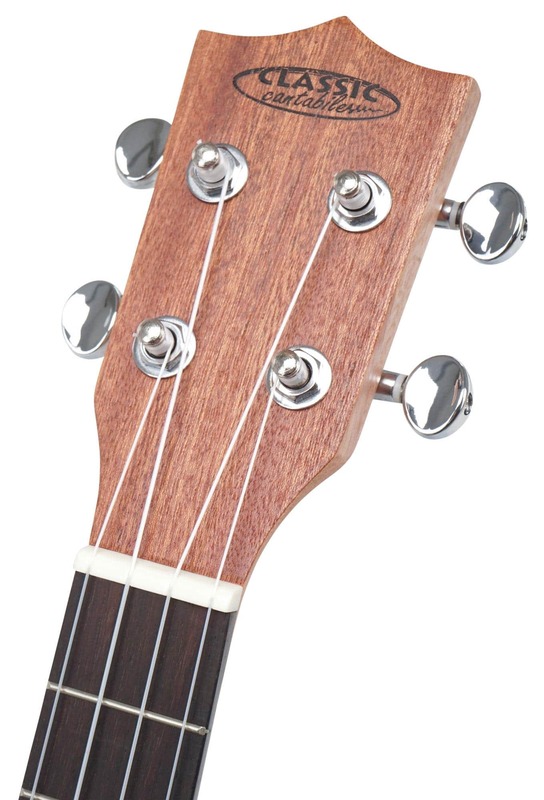 Traditionally, the tenor ukulele has an E-A-F#-C# (A tuning). But here the instrument is tuned in G-C-E-A just like the soprano ukulele. With a low-G string, this instrument has a greater solo range. With its smooth guitar mechanics, tuning the ukulele is a child's play. The ukulele is equipped with nylon strings. Its compact size makes it perfect for travel, and it can be easily stored in a backpack. A pickup is built into this instrument which includes a 3-band equalizer (treble/mid/treble) and tuner. 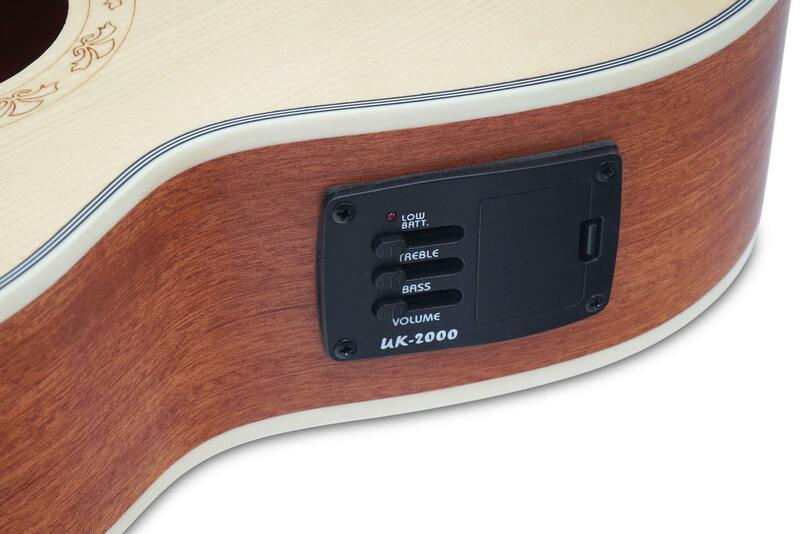 Thus, the ukulele can also be amplified by guitar amplifiers/PA speakers. 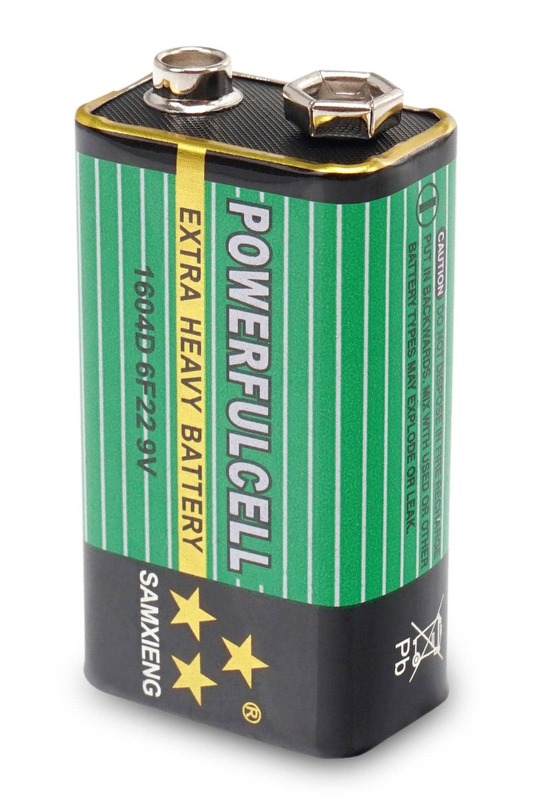 The 9V block battery required for the pickup is included in the delivery. 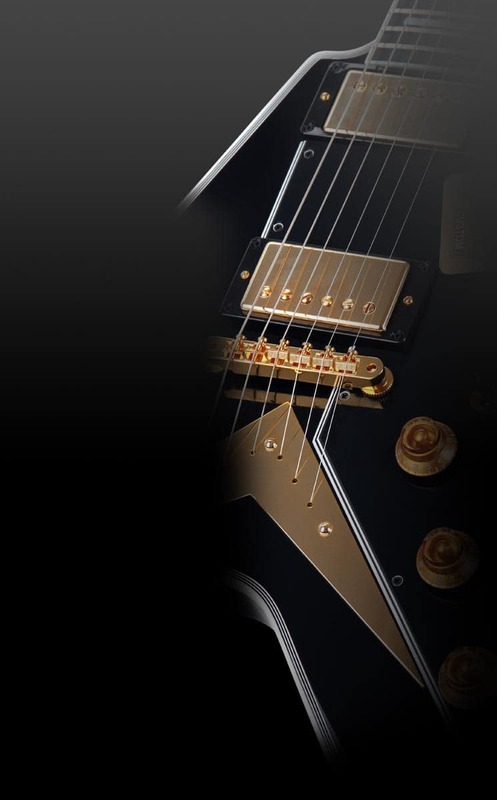 Conclusion: an awesome instrument with a great sound!